Do you recognize this horse? She came in with the last group of horses from the kb. One of our sharp eyed blog readers recognized her and was able to share a lot of her history. It’s always exciting when we are able to find out history on a horse that comes into our rescue, especially when it comes from the livestock auction. She wrote through a series of emails: “I am pretty sure that I know the four year old bay roan mare that came from the auction. She belonged to a very inexperienced horse friend of mine and the mare was extremely green so I convinced her to put her up on CL so we could find an older and way more broke horse for her so she did not get hurt. The guy we traded her to said he loved her and was going to keep her forever – guess he fibbed. I hope we didn’t trade her directly to the killer buyer. 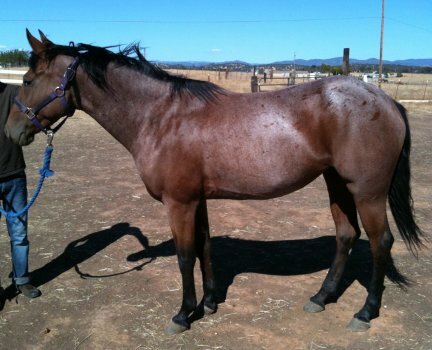 “Sophie, as we called her, belonged to a 48 yr old VERY beginner rider friend of mine. A horse trader that we know of sold her to her because my friend thought she was ‘pretty to look at.’ The horse trader gal actually bought her from the Madera auction quite a few months back and supposedly started her with about 10 rides total. I took the roan mare and another little bay mare from my friend, turned them out, and loaned her one of my broke horses until we could sell her two and find her something more broke for her to learn how to ride on. The horse trader gal said she put 10 rides on her and that she could really buck. She said she bucked while trying to tighten the cinch and when riding her. She said she got better as the rides went on but those 10 rides were at least 6 months ago. She is a sweetheart on the ground but does get a little worried if stuff starts moving too quick around her. I gave her her first bridle path and shave with clippers and she did real well, little nervous and ticklish at first but she trusted me after only a couple minutes. “I put both her horses on CL and a gentleman who went by the name ‘Dee’ emailed me wanting to trade me a dead broke old mare for both of them. I said ok since that is what my friend really needed anyway and he oddly insisted on coming and getting them ASAP. He got here with his buddy who went by the name ‘Que’ and unloaded the old mare, caught the two other mares, said goodbye and left. The old mare was supposed to be 15 yrs old, dead broke and completely sound. She turned out to be dead broke- but skinny, a little sway backed, 25+ yrs old and LAME. She is sound at a walk but anything faster and she limps like crazy. My friend loves her to death though so she took her home and has her a vet appt scheduled the beginning of Oct for her teeth and a soundness exam. “Anyway, Dee kept in touch with me for a few more emails saying he really liked Sophie (Opel) and that he had tried to ride her but she kept trying to buck him off. He wrote, ‘She doesn’t like going going in circles and I don’t like falling off, so we are not going to do either anymore.’ He said he liked her though and was going to keep her forever – guess he fibbed. Well, now we have more information on Opel. It’s always sad when horse traders take advantage of situations and are completely dishonest. The horses are the ones that pay the price. She is a beautiful girl and we are glad she is safe now. 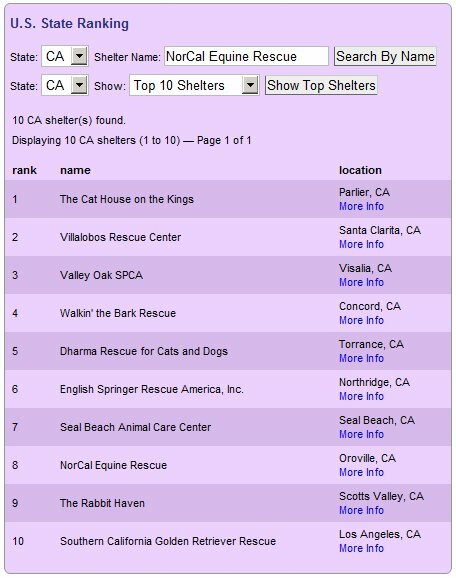 There is a purple button to click on to donate free food to rescued animals. This is free to you, it is all paid for by the sponsors. After clicking you get to a page where you can vote for your favorite rescue. Click on the word Vote with a heart next to it. 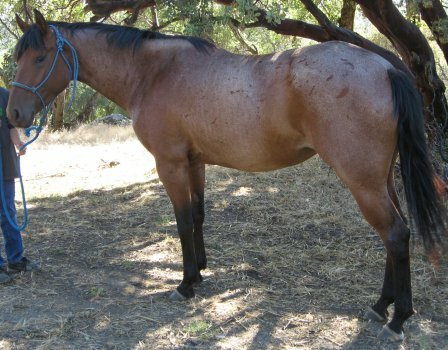 Put in NorCal Equine Rescue in Oroville, CA, click to vote. You will then come to a page to confirm your vote by saying what animal’s picture is being shown that day. On the homepage, You can register for a reminder to be sent to your email every day so that you won’t even have to remember to do this. You can only vote once a day, but every vote is precious. There has been a lot of work going on in preparation in getting the new website up and going. One of the things that has been worked on is a new store where you can buy some really neat items. There’s a bunch of new bumper stickers, anyone that loves animals should get at least one. Some of them are Tawnee’s favorite sayings that she thinks would be neat to have on bumper stickers. Now they’re there. This is a great way to support us and get cool stuff all at the same time. To visit the store, click here. 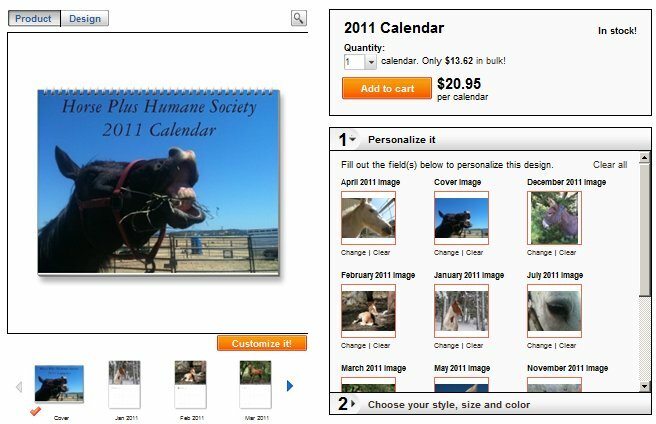 One of the really awesome items is a 2011 calendar. All of the horses ponies and donkeys were rescued. Some are recent, some are from years passed. All are precious, all are beautiful. To buy the calendar, click here. Today’s eBay giving works item is a vintage Oakland A’s cooler, circa 1989. Great collectible, it’s only $5.99 and 25% of the sale price goes to help the horses. Click here. Many thanks to Diana C. for her generous donation! We really appreciate it. Below is a copy of the “Urgent Need” sent out this morning to our E-News group. Please help if you can! We need your help! Our Free/Low Cost Euthanasia Clinic is this Sunday. It cost about $2500 to conduct one of these clinics and we currently have only $550. We need $1950 to have this clinic on Sunday. We have been holding these clinics monthly since November 2008, but we really need your help with this clinic. With winter coming on there are a lot of people calling that are desperate to bring their horse that are suffering to this clinic. Their horse is getting older, and has health complications, and due to the hard financial times, they cannot afford to keep their horse comfortable through another long cold winter. The horses need your help to be given the Last Act of Kindness before winter hits. We have owners calling us pleading with us to take their precious old friend and give them the last gift of love and kindness. If we do not have the funds to take them in the owners will be forced to give them away. 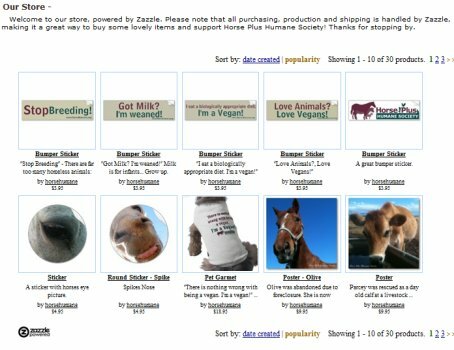 The only folks who are looking for older horses with health problems are killer buyers waiting to fill up their slaughter trucks so they can make the long haul to Mexico. Their only thought is making money on the precious lives of horses that have given their all in serving humans. Please help us keep older horses out of the slaughter trucks, let them know that someone really did care about them in the end. 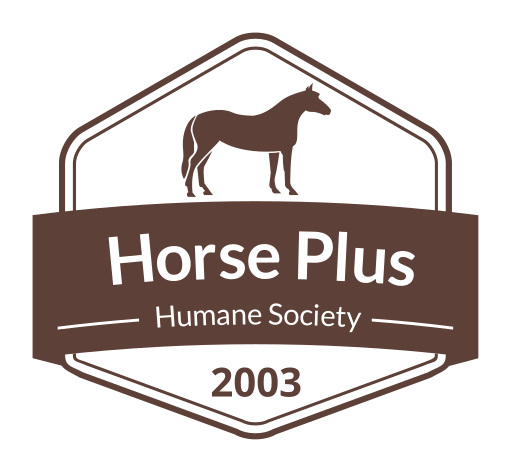 As always, our vet and staff will be evaluating each horse for quality of life and adoptability. Horses that have a good quality of life and are adoptable will be brought into the adoption program. Today, I saw my first glimpse of Opel (sophie) on adoptapet.com. It feels like she’s looking at me. I am in love. Also, I worked for a wonderful natural horsemanship trainer for some time at the ranch where I now live who re-started many a horse and ended up with beautifully well mannered creatures, so she doesn’t seem that daunting to me. I’d try to buck inexperienced people I didn’t know if I was that green and passed off that many times, too….